Sometimes the simplest things are the most impressive. With that in mind, a few weekends ago finally did a long overdue count of how many pens I had inked. I ended up with 13 pens in front of me with ink in them! Way way too many for me, so I emptied, wrote some dry over the next few days and cleaned a lot of pens. I'm down to about 8 now, which is still more than I need, but the number is moving in the right direction now! I also realized in my purchases over the last year I've ended up with some pens I never intend to ink up again. They're the minority, but it made me want to buy with a bit more purpose. 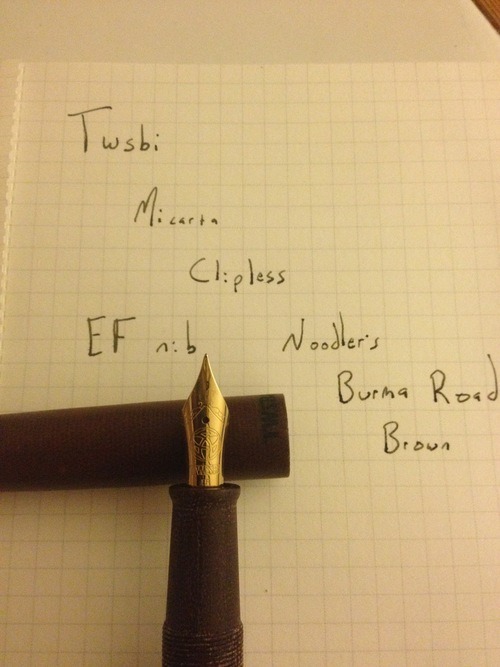 I started thinking about why I like the pens that stay inked and why some of the newer purchases aren't getting the same attention. 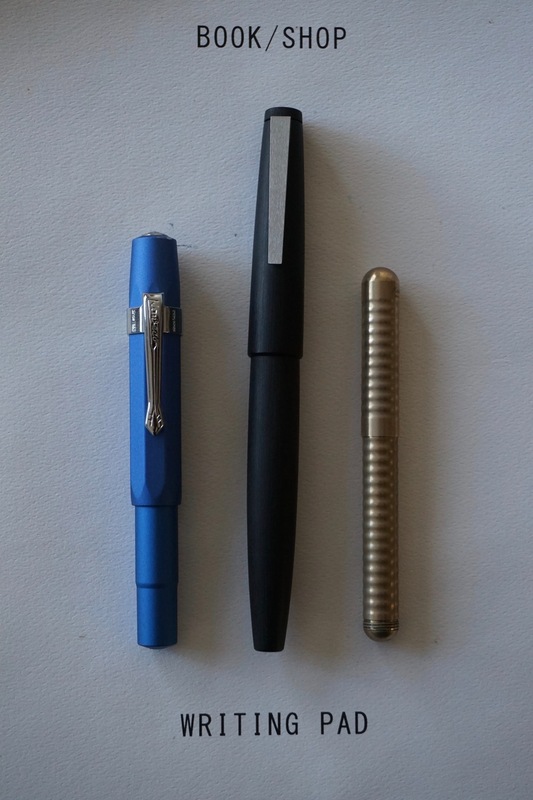 There's the common stuff we all talk about, pen weight, nib width, etc. but it's more than that. I just like classic lines and classic colors. I've been consciously branching out a bit, focusing on new colors and different forms, but in my heart of hearts the pens I love most are simple and classic. Which leads me to the point of this post. 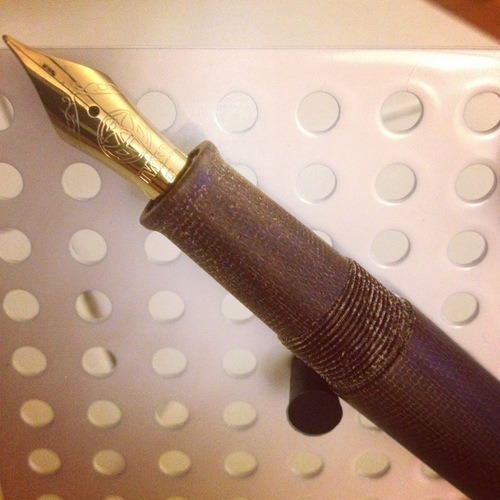 Anyone who pays attention to fountain pens knows the name Edison Pen Co. 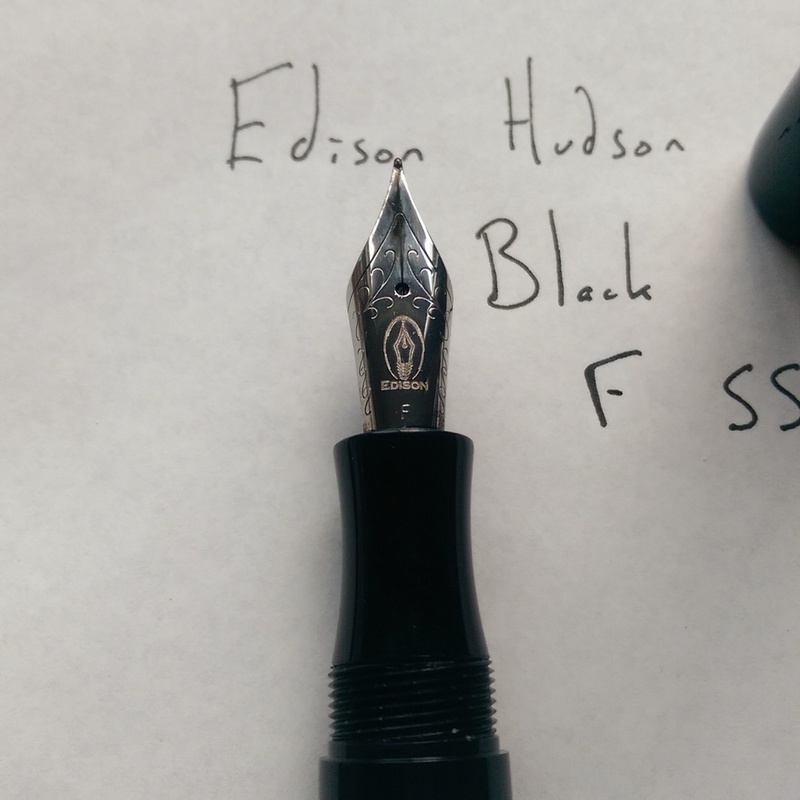 I've spent a fair amount of time looking at the Edison site and coming up with my perfect custom pen, but realistically knew my first Edison would be a production line model. Of the production models I kept waffling, one week obsessing over the Pearlette, the next over the Edison Nouveau Premiere, etc. The model I weirdly didn't spend much time thinking about was the Hudson. So of course, on a particularly trying day, I was grabbing a few Esterbrook nibs from Anderson Pens and decided to browse around a bit to see if I wanted to add a pen to my little collection. With this new mindset and this new admission, the Hudson Black jumped out at me, and a few minutes later, it was on its way. It was an impulse buy, but a semi-calculated one. 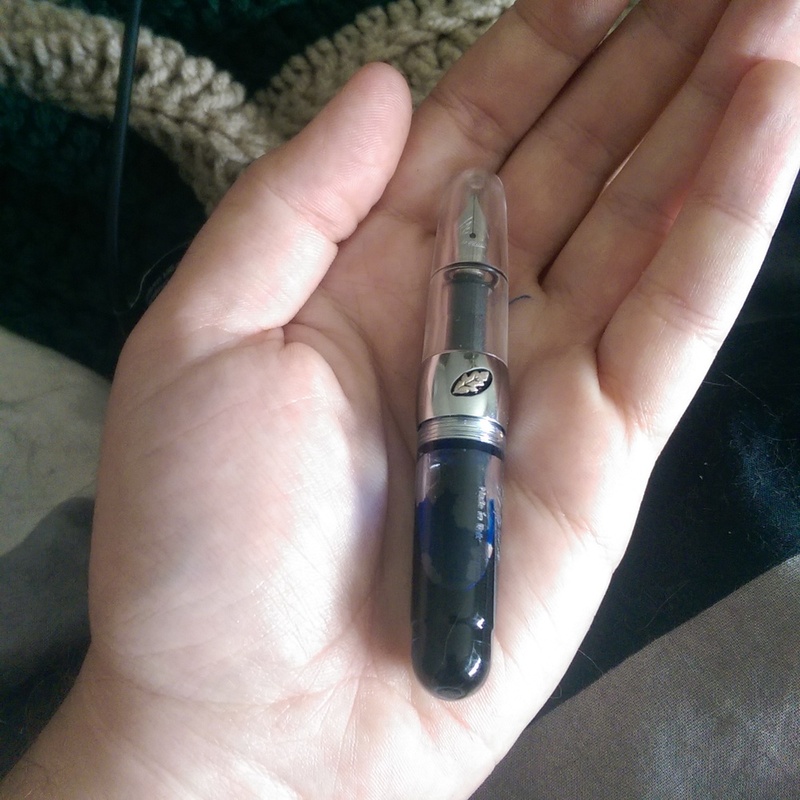 I've been setting aside money the past few months for some bigger purchases, knowing I wanted to get an Edison and knowing I want one of those beautiful Franklin Christoph pens among others, so a good chunk of the money was already there. A few days later I had it in hand. 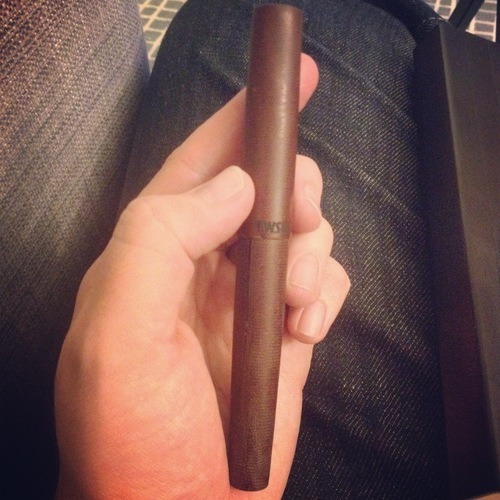 The Hudson is a gorgeous, gorgeous pen. It's a BIG pen, but light in the hand. I went with the black because the simplicity of the design called out for a simple color. 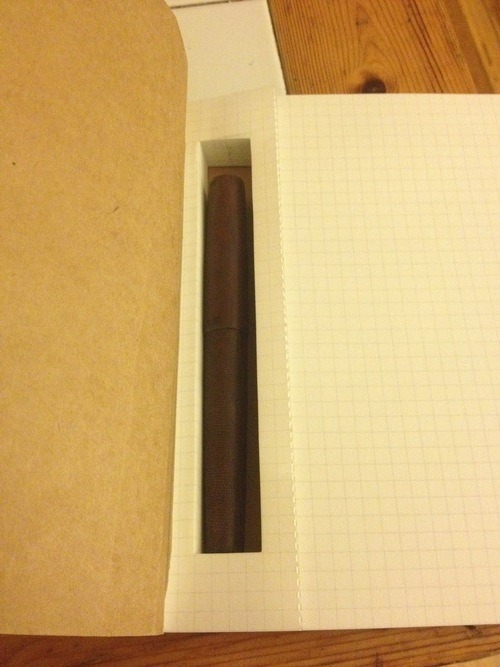 But like I say up at the top, this seemingly simple pen is incredibly impressive. From the flat top to the subtle shaping at the bottom of the cap, to the elegant taper at the bottom, this thing screams classy (would a classy thing scream? I guess not.) I don't usually care about the clips on my pens, I rarely clip them to a pocket really, but in the case of the Hudson, the clip is one of my favorite parts. The curves are exaggerated, which plays off the subtle silhouette of the pen itself, and it's ended up being the thing I stare at most. It also does it's job very well, holding my pen snugly in my Nock Co. Hightower. The only branding is a subtle "Edison Pen Co Hudson" on the body. 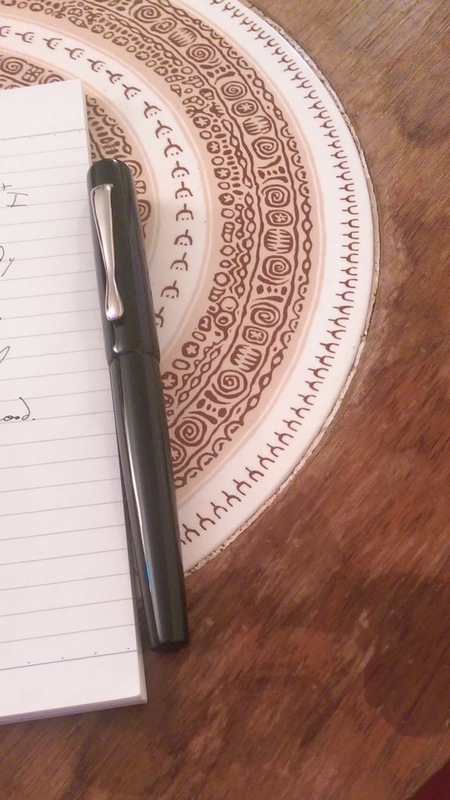 You can tell Brian lets his pens do the talking, no need for a ton of branding or excess ornamentation. I inked it up with Noodler's Black because it's an ink I know really well. 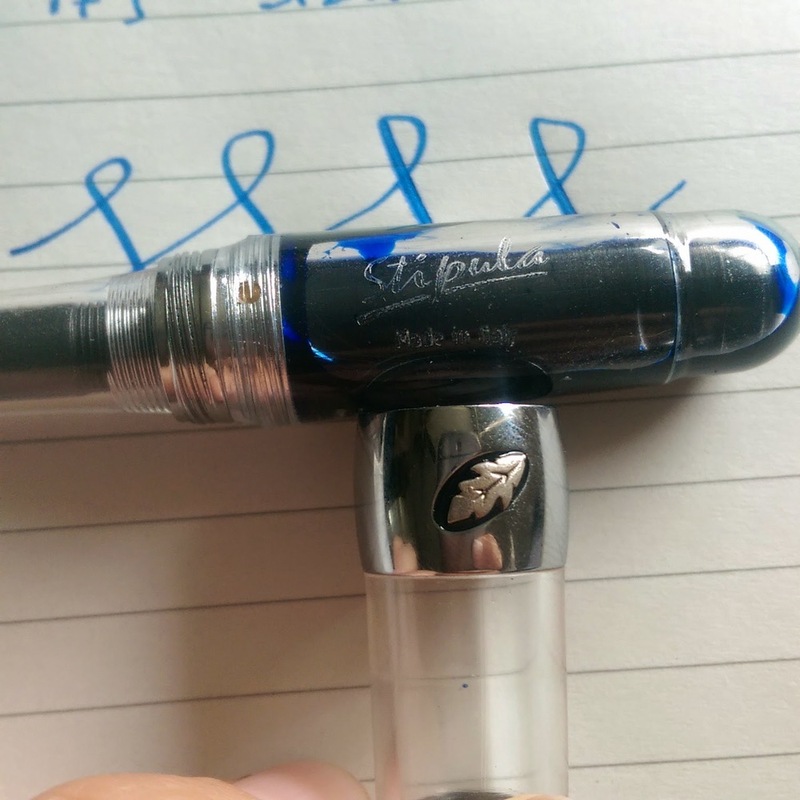 Currently I'm using the convertor, although I plan to convert it to an eyedropper once I write this dry. The convertor is great, and I had no trouble getting the F steel nib to write immediately. And oh how nice it writes! The steel nib is definitely stiff, but if you're heavy handed you can get some slight line variation. 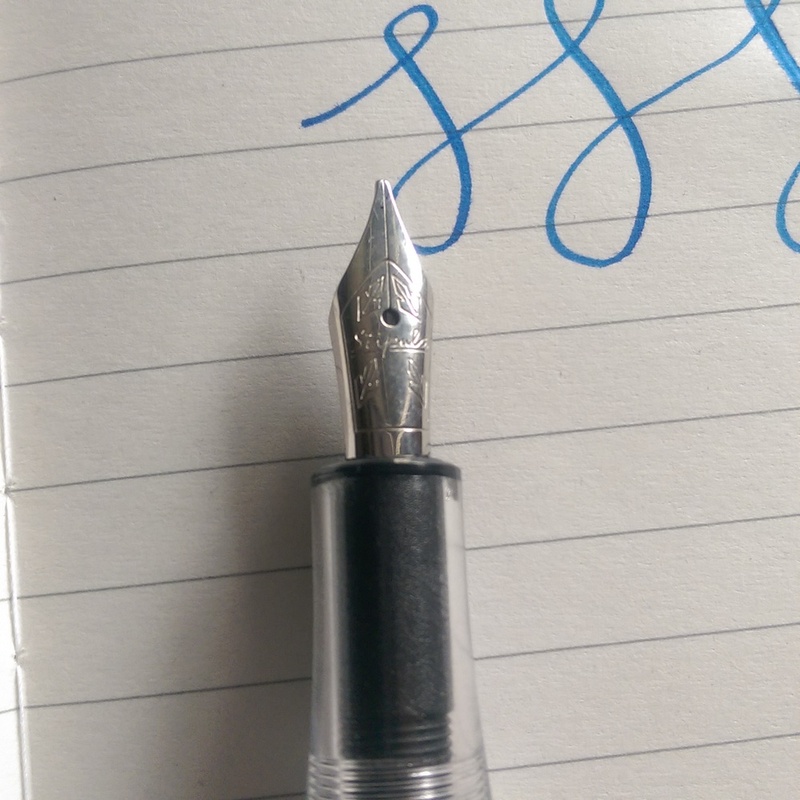 It's a German nib so the F is a bit broader than my other mostly Japanese F's, but it lays down a beautiful line, just right amount of ink, and smooth but a touch of feedback, perfect for my preferences. And I've had ZERO issues with the nib the entire time. Flawlessly starts each time I uncap it and haven't had even a single skip. You can post the cap, although I rarely post caps, and for my hands if I post it I end up wanting to hold it on the threads, so I leave the cap off and it fits my hand perfectly. I started writing just to test, and no joke, an hour later I stopped my "testing", having seamlessly segued into my daily journal writing. 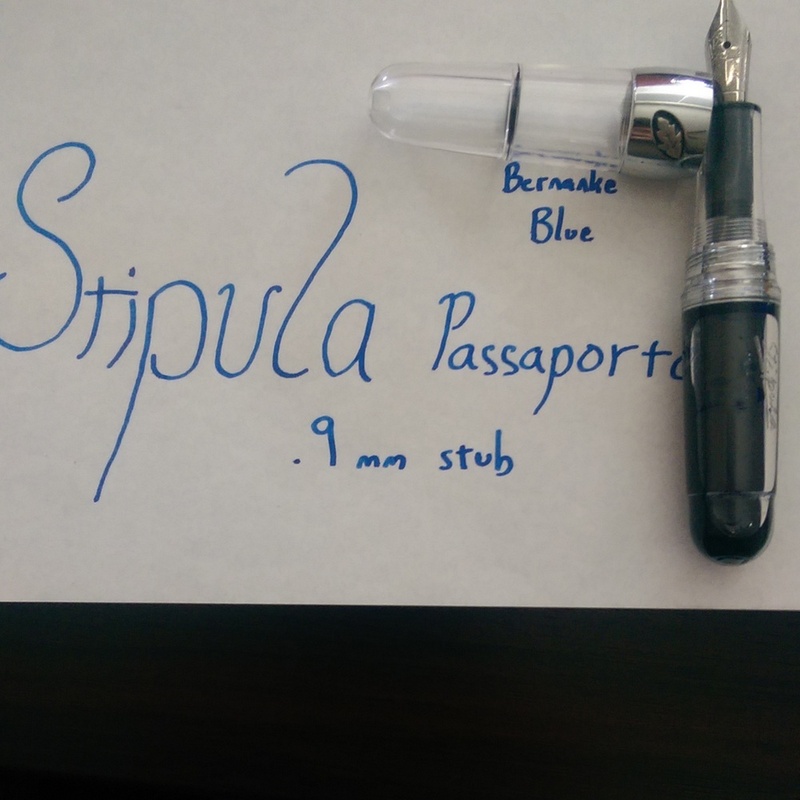 I really can't say enough good things about this pen. It's my first Edison Pen Co. pen, and I can assure you it will not be my last. I'm keeping an eye on those limited edition seasonal colors the Goulet Pens folks are putting out for instance, and I still have my perfect custom Edison pen in mind for the future. If you like a classic pen, with clean, subtle lines that writes like a dream and is comfortable for hours, you can't go wrong with the Hudson.